Women's Designer Silver Necklace : LOVE2HAVE in the UK! 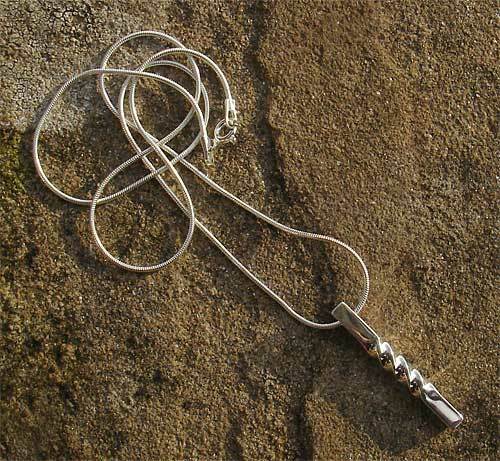 A women's designer silver necklace. Like the men's range of silver twisted jewellery, we have a variety for women too, however, rather than coming in an oxidised silver the ladies necklaces and earrings are all finished in a polished finish. 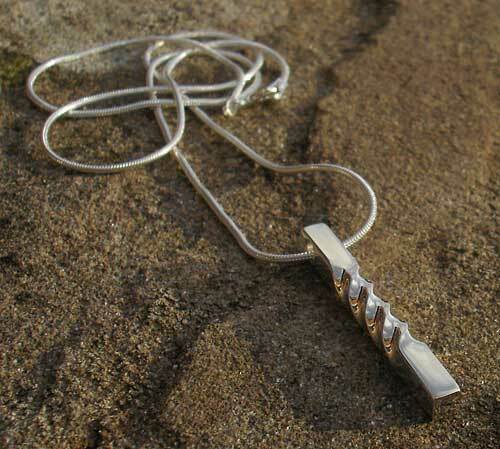 This silver pendant is a squared silver bar that looks as though it comes twisted in its centre. It measures approximately 30mm x 3mm square and comes threaded onto a 16-inch silver snake chain. A very unusual piece of women's designer silver jewellery without the designer price tag and a great engineered style necklace for females. Matching earrings and bracelet also available.